L2Tales.com - Interlude x15 - Opening at the end of March! Post subject: L2Tales.com - Interlude x15 - Opening at the end of March! Official launch at the end of March﻿! Autopickup - NO, manual loot for items from monsters & raid bosses. Auto pickup system only for adena from monsters. → Joining a Lv 5 Clan or more provides you with +4 buff slots. Cursed Weapons - from 15th of April. Offline Shops - YES, by using the command .offline after you setup a private store. Subclass - requires the retail quest. Mana Potions - available in General Merchant Shop. → Replenishing 1.000 mana upon click with a 12-second delay. Class Master located in every town & village. → 1st class transfer costs 150k adena. → 2nd class transfer costs 3kk adena. → Summon buffs are not available in NPC Buffer. → All buffs duration 1h. → Buffs free until 40lvl., after costs 5k adena each. → Includes soulshots, spiritshots & blessed spiritshots up to B-Grade. → Includes a variety of consumables. Seven Signs - from Monday, 1st of April 2019. → Blacksmith of Mammon & Merchant of Mammon available in the cities of Giran & Aden. → Players may exchange Seal Stones to Ancient Adena only during seal validation period. → Curse of Destruction, from the Preacher of Doom working retail like, so beware in which cabal you will choose to register. Castle Sieges - first sieges on 13th & 14th of April 2019. → Gludio Castle, Saturday 18:00 GMT+2. → Innadril Castle, every Saturday, 18:00 GMT+2. → Giran Castle, every Saturday, 21:00 GMT+2. → Dion Castle, every Sunday, 18:00 GMT+2. → Oren Castle, every Sunday, 18:00 GMT+2. → Rune Castle, every Sunday, 21:00 GMT+2. → Schuttgart Castle every Monday, 18:00 GMT+2. → Goddard Castle, every Monday, 22:00 GMT+2. → Aden Castle, every Wednesday 22:00 GMT+2. → 10 days olympiad period - starting from 21st of April 2019. → Heroes will appear every 1st, 11th and 21st of each month. → Olympiad operates every day from 19:00 until 01:00 GMT+2. → Participants can register only 1x character per HWID into the olympiad games. → Mages receive: Acumen lv. 3, Empower lv. 2 & Wind Walk lv. 2 before the game starts. → Fighters receive: Haste lv. 1, Might lv. 1 & Wind Walk lv. 2 before the game starts. → Participants are fully healed only when they enter the stadium and not before the game begins. → Entering the stadium all cubics, pets or summons are erased, except Soultaker's. Auction House in Community board available only for Equipment & Scrolls. Shift & Click on the monster or raid boss shows its droplist & chances. All Giants Codex, Enchant Scrolls & Life Stones are stackable. Trade C hat (+) has global range and works with 5 seconds delay accessible only by Premium Account service owners. In a Command Channel, only the CC leader has the looting rights of an Epic Boss. Overlord buffs do NOT affect alliance members. Overlord buffs effect party members as well. Skill "Restore Life" cannot be used in World Bosses but it can be used in normal Raid Bosses. → Festival Adena dropping only from specific monsters in Varka & Ketra hunting regions. → Grand Seers, Elite Soldiers, Head Shamans, Head Magus'es, Prophets & Commanders have higher chance & drop count for Festival Adena than ordinary monsters. → Festival Adena can be exchanged in Exclusive Shop for various items such as Recipes A & Keymats, Soul Crystals, Greater Dyes, Quest Items, Scrolls, Life Stones. → When a member from a clan, kills a member from an other clan on a PvP, Clan War is automatically declared to the opposition clan. → When a member from a clan PK's a member from an other clan, Clan War is automatically declared to the opposition clan with a 24h war closure penalty. All the Sub-Class Raid Bosses respa wn is 16-24 hours. Noblesse Raid Boss - Flame of Splendor Barakiel is 12-16 hours. PvP Zones inside Baium's Lair, Valakas Nest & Antharas Nest. Frintezza respawn is 48 - 50 hours. Antharas respawn is 192 - 194 hours. Valakas respawn is 264 - 266 hours. Queen Ant respawn is 26 - 28 hours. Core respawn is 35 - 36 hours. Orfen respawn is 35 - 36 hours. Zaken respawn is 43 - 45 hours. Baium respawn is 5 days. 5th / 10th / 15th / 20th / 25th / 30th of each month from 21:00 until 24:00 GMT +2. L2 Tales x15 - Game Features formal presentation page. 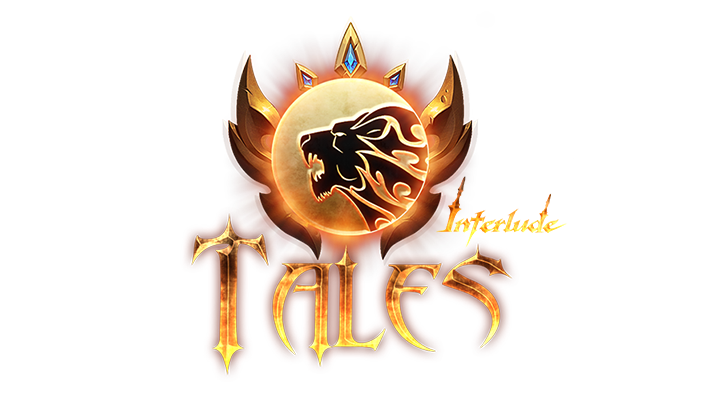 L2Tales comes back this March as an Interlude x15 and already 331 members have registered in our forums. L2Tales comes back this March as an Interlude x15. Over 400 members have been registered in our forums. Thank you Very soon we will publish the opening and beta test dates. L2Tales.com - The Comeback on March 30th 2019! BETA Test - 24 March 2019! Bringing back Innovation and majesty of the game we loved! #1 Pre-Game Event - "BETA Invitations - Facebook Event"